The Rocks continued to struggle in the fourth, giving up four quick points and Washington the lead at the seven minute mark. (28-29) New Haven went scoreless for over five minutes going back to the third quarter. With just under a minute to go and the Rocks down one, Elise McDonald came up with a big time play, forcing a steal and hitting Rachel Steinoff for an easy layup to tie it at 34 all and sending the game to overtime. In the first overtime both teams each scored two points and to force a second overtime. After 36 minutes of play, New Haven’s senior forward Kayla Oetterer had been held to just two points in the second half before she took over the game, scoring six unanswered points. 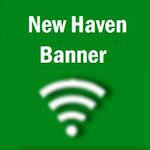 New Haven finally began rebounding the ball, not giving the Blue Jays any second chance points, giving up only one point in the finial four minutes and propelling New Haven to a 44-37 win. Oetterer scored all but two of the Rocks 10 points in overtime. Oetterer lead all scores with 19 points, Steinhoff added 12 points. McDonald had four steals and a team high nine rebounds. The Blue Jays were led by Danielle Gratza, scoring 12 points and Kristie Leslie, who had 10 points. New Haven improves to 3-1 on the year, winning their third straight after losing their season opener to Hermann and Washington falls to 0-2. New Haven will next play on Mon., Dec. 12 at home in their first conference game against Sullivan.